Foley Gardere announced that Craig P. Chick has joined its Government Solutions Practice Group in its Austin, Texas office as Director of Public Affairs. Chick is the founder of Capitol Partners Consulting and has been involved in Texas politics for over 20 years as a senior adviser in the Texas House and Senate on a variety of topics ranging from alcohol, economic development, electric generation and transmission, employment, environmental regulation, housing, immigration, pharmaceuticals, property rights, real estate, tax and transportation. 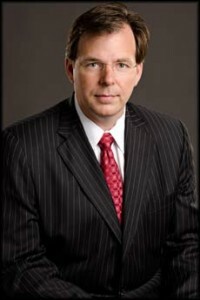 Consistently named to the Texas Lobby Power Rankings published by veteran Capitol reporter, Mike Hailey, at CapitolInside.com, Chick has extensive expertise in the sunset advisory process, drafting legislation, authoring interim reports, and directing political campaigns. He is known as one of the most honest voices in Texas politics and is well regarded by Republicans and Democrats. He has a reputation for diffusing highly charged situations, distilling them down to the key issues and skillfully resolving them. Chick is unique among legislative consultants because of his rare combination of expertise in the internal procedures and parliamentary procedures of both the House and Senate. His relationships and reputation combined with his procedural expertise are at the core of what differentiates him. Prior to founding Capitol Partners Consulting, Craig served as the Senior Business and Regulatory Advisor to Texas House Speaker Joe Straus from 2009-2012 during the 81st and 82nd legislative sessions. Chick handled business and regulator policy issues and monitored committees including the Committee on Business & Industry; the Economic and Small Business Development Committee; the Environmental Regulations Committee; the Energy Resources Committee; the State Affairs Committee; the Transportation Committee; and the Technology Committee. Prior to his work in the Speaker’s office, Craig was the director of political affairs for the 90,000-member Texas Association of Realtors®. He also was a senior policy adviser for Texas State Senator Kyle Janek of Houston and served for six years as chief clerk for Texas State Representative Fred Bosse of Houston. Learn more about Foley & Lardner LLP here.